Most of the Blackhawks teams teams travelled to San Diego to compete at the California State Games. The 10U A team played in 12U BB division, going 1-3 in round robin, including a 2-1 shootout loss to Empire Hockey. They faced off against Empire again for 3rd place, beating them 9-0 to earn the bronze medal. The 10U B team went 1-2 in round-robin. They shutout CA Heat 3-0 in the bronze medal game. The 12U BB team travelled to the Celebration Tournament in Valencia, going 0-3 in round-robin play and losing the consolation game. 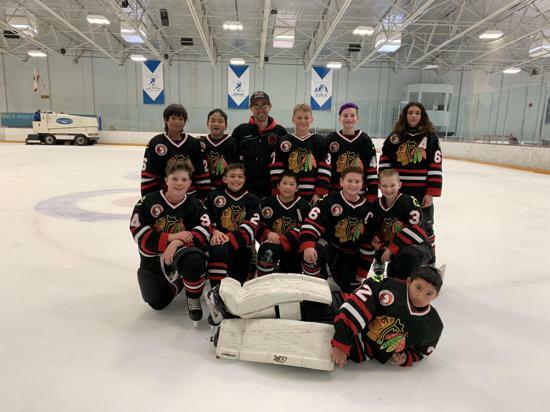 The 12U B team went 3-0 in round-robin play, with a division-leading 24 goals scored and the highest goal differential. They fell to the Cupertino Cougars 4-3 in finals, earning them the silver medal. The 14U A team travelled to Colorado Springs to play in the 14AA division. Although they went win less, the team was in every game and competed hard. Coaches are hoping the tough opponents in Colorado helped prepare the players for the upcoming Norcal playoffs. The 14U B team went 2-1 in round robin, with their only loss being a 12-round shootout. They defeated the Arapahoe Warriors to win the bronze medal. 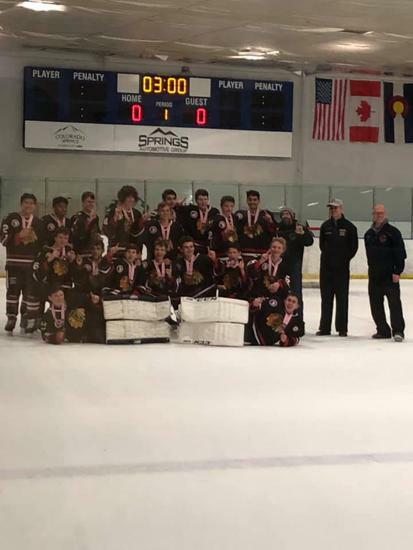 The 16U A team travelled to Colorado Springs, going 1-2-1 in round-robin play. They beat the undefeated New Mexico Warriors in the final game - taking the lead with 14 seconds remaining - to take the gold medal.